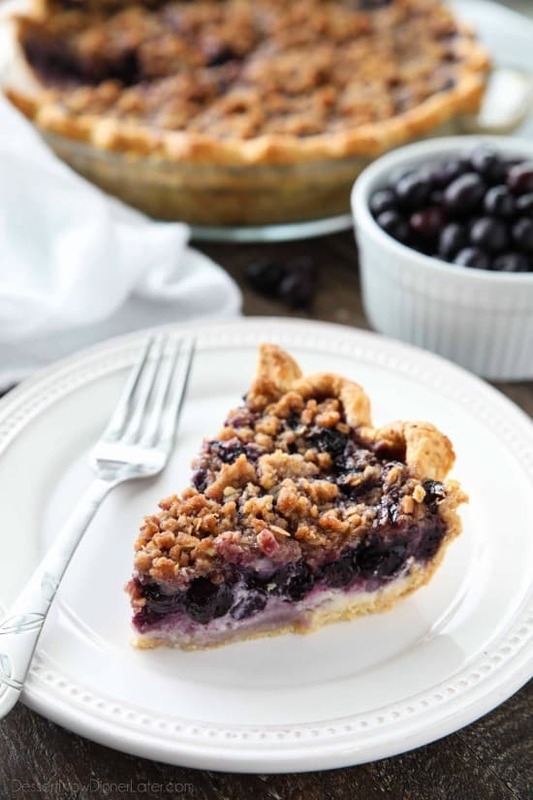 Blueberry Cream Pie with Streusel Topping - Dessert Now, Dinner Later! When my husband (Kyle) and I were in college, we both worked at one of the university’s food service buildings. I was in the bakery. Kyle was a weekend supervisor for one of the cafeterias, and also worked the midnight pizza shift. We worked completely opposite times. He would get home from work at midnight and I would go in to work at midnight or 2:00 a.m. Just enough time to say, “Bye honey, love you!” It was rough, but that’s the life of poor, young, married college students. Most colleges offer meal plans that have all-you-can-eat cafeterias, especially for students residing in the dorms; hence the reason why most students gain the “freshman fifteen.” Anyway, during my husband’s weekend shifts at this cafeteria, he helped cut up the desserts that we made in the bakery, and would plate them up to put in the dessert case for the students to eat. Kyle would always tell me that when we made this blueberry cream pie, he would save himself a slice to eat when he took his break. It was his favorite dessert that we made. I also really love this pie. 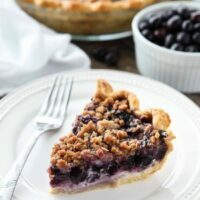 I’ve changed the recipe a little bit because I don’t typically buy pre-made blueberry pie filling, I just use frozen blueberries, but it tastes great. I’ve also doubled the cheesecake layer from what we did in the bakery so there’s more of that creamy goodness. 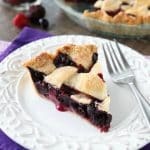 This blueberry cream pie is perfect for any occasion and will definitely be one you’ll want to make again and again. Prepare Streusel: Put oats, sugar, flour and cinnamon in a bowl. Add butter and mix together with a fork until pea size crumbs form. Set aside. Prepare Cheesecake: Place cream cheese, sugar, and flour in a bowl. Cream together with a hand mixer for 1 minute or until smooth. Scrape bowl. Add egg and vanilla. Mix until incorporated. Set aside. Prepare Pie Crust: In a large bowl, combine flour and salt. Cut in the shortening with a pastry blender or fork until pea size crumbs form. Whisk egg and add to flour mixture. Add COLD water and white vinegar. Mix together with hands and form into a ball. Lightly dust working surface with flour. Roll out pie dough into a circle about ¼-inch thick. Place crust into a deep 9-inch pie dish. Cut off excess dough with a knife against the edge of the pie dish. Discard excess. Crimp pie edges. For the Blueberries: Place frozen berries in a large bowl. Toss with sugar and cornstarch, then gently spoon the blueberries over the cheesecake layer, distributing the cornstarch-sugar mixture as evenly as possible. OPTIONAL: Microwave blueberries to dissolve some of the cornstarch-sugar. Heat in microwave for 60 seconds. Stir. Repeat 3 times making sure to gently fold the berries as they thaw slightly. (The berries won't be completely thawed, but starting to release juices and soften.) Gently spoon evenly over the cheesecake layer. 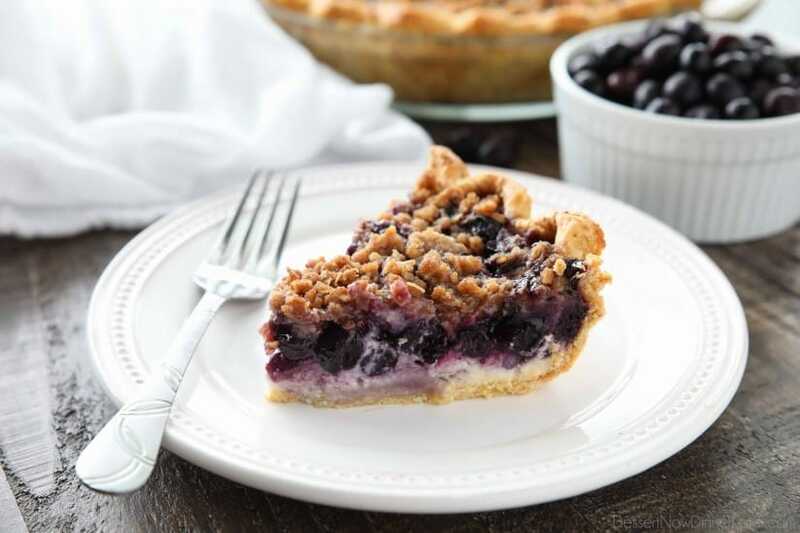 Sprinkle the prepared streusel over the blueberry layer. 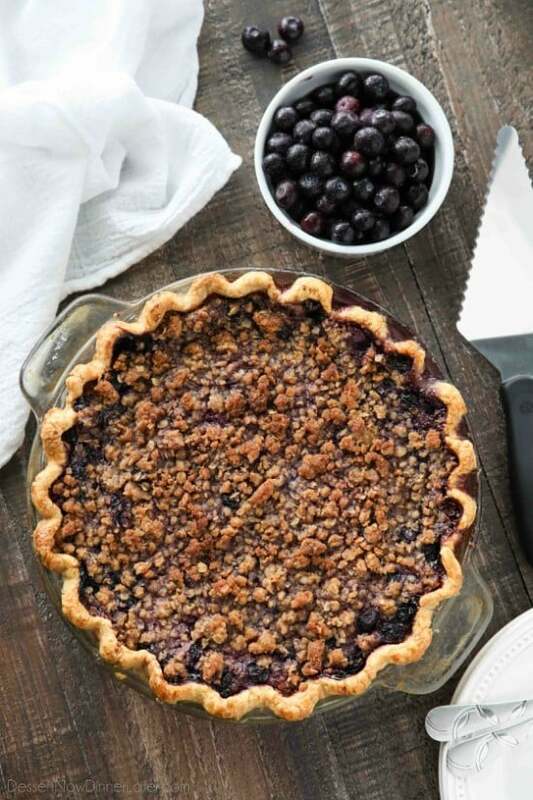 Bake at 350 degrees Fahrenheit for 1 hour and 15 minutes or until the blueberry filling bubbles in the center and the crust and streusel is browned. If browning occurs before filling bubbles, cover pie with foil. (Check at the 1 hour mark.) Consider placing a pan to catch any spills on the oven rack below the pie, especially if you are not using a deep pie dish. 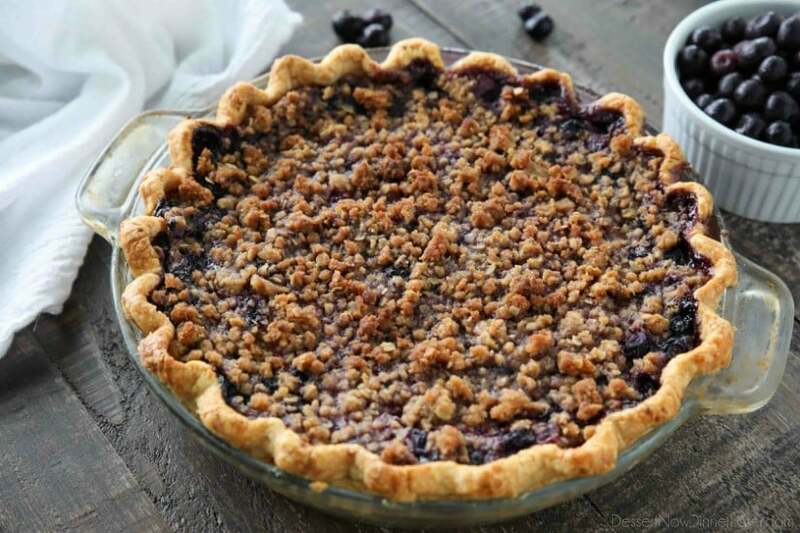 Allow pie to cool to room temperature. Cover with plastic wrap and store in the refrigerator. 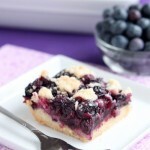 *Substitute canned blueberry pie filling for the frozen fruit mixture if desired. Bake time may lessen. Check pie after 1 hour. *I highly recommend using a clear pie dish to be able to see if the crust is fully cooked and browned on the bottom. *Originally published 2/19/13. Post and photos updated 3/11/18. 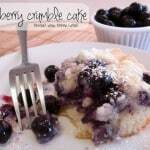 This sounds like a great twist to regular blueberry pie! 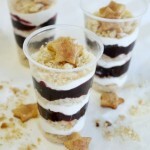 Love the streusel topping!